How do I review the information I downloaded from the CRA/Revenu Québec? Important: The Canada Revenue Agency (CRA) will open their Auto-fill my return (AFR) service on February 12, 2018. Revenu Québec will open their Téléchargement des données fiscales (TDF) service on March 2, 2018. 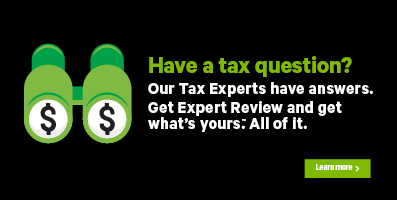 Using H&R Block’s tax software means that you’re on your way to completing your return faster than ever before. But you’ll need to take a few moments to make sure that the information you’ve downloaded from the CRA and/or Revenu Québec is correct. If the issuer made a mistake preparing your slip or receipt, there’s a chance it could negatively impact your refund amount or taxes owing. Note: If you notice incorrect information on your slip or receipt, contact the issuer to get an amended slip or receipt re-issued to you (and the CRA or Revenu Québec). This icon means that your information has been downloaded, but still needs to be reviewed. To make sure the information is right, simply click the Check button.